Jones Racing Products offers high performance drive kits that result in more power to racing engines. Pit Stop USA is The Online Motorsports Superstore! We feature Crate Motor Power Steering Kits at low everyday prices. Gilmer drive belts are widely used on dry sump pump setups and compatible with any 3/8" pitch gilmer drive pulley setup. PitStopUSA.com recommends replacing belts often to prevent failures. Pit Stop USA is The Online Motorsports Superstore! We feature HTD Belt Drive Kits at low everyday prices. Pit Stop USA is The Online Motorsports Superstore! 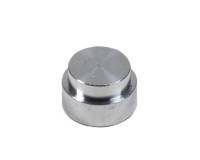 We feature Mandrel Pulley Washers at low everyday prices. Pit Stop USA is The Online Motorsports Superstore! We feature Oil Pump Belts - HTD at low everyday prices. 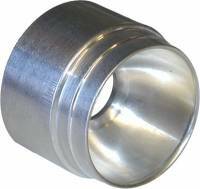 Check out the Recently Listed Oil Pump Drive Pulleys. Pit Stop USA is The Online Motorsports Superstore! 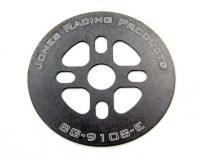 We feature Oil Pump Pulleys - HTD at low everyday prices. Pit Stop USA is The Online Motorsports Superstore! We feature Jones Racing Products drive kits. Want more horsepower? Jones Racing Products have the right drive kit for you! Save horsepower, reduce harmonics, and experience our unparalleled lightweight design and longevity. Jones Racing Products offers high performance drives for the alternator, power steering, dry sump, fuel pump, vacuum and water pump. Combine Jones Racing Products lightweight billet drive system designs with their endless ratios and mounting options for the ultimate race or street setup! 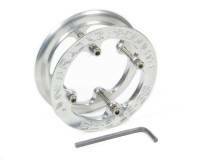 Jones Racing Products Lightweight Billet Aluminum Serpentine Drive Kit for Water Pump and Power Steering Drive, Clears Dry Sump Pump. 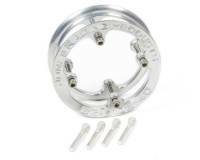 Jones Racing Products SB Chevy HTD Alternator Drive Kit features Radius Tooth HTD pulleys, water pump to alternator drive. 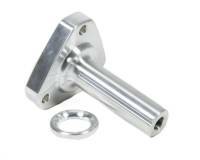 Lightweight Billet Aluminum HTD Design mounts off of short Water Pump. Jones Racing Products Lightweight Billet Aluminum Serpentine Crankshaft to Water Pump Drive Kit for Small Block or Big Block Chevy is for Short Water Pump applications. Jones Racing Products Serpentine Drive kit for Small Block Ford provides Crankshaft to Water Pump billet aluminum pulleys, belt and hardware. Jones Racing Products Bellhousing Mount HTD Oil Pump Drive Kits are for applications driving the oil pump off the rear of the crankshaft. Jones Racing Products V-Belt Alternator Drive Kits include a single wire alternator, brackets, billet aluminum pulleys, brackets and hardware. 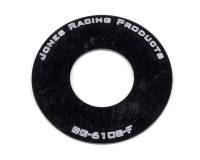 We feature Jones Racing Products at low everyday prices!